Eat more foods that grow on trees and plants and eat less food that is manufactured. Make time to practice meditation, yoga, and prayer. Read more books than you did in last year. I will not covet what my neighbor has and remember I already have all that I need. The moments of past will stay in the past and I will not remind those in my life about mistakes they made in my life. Learn to dance through life as I follow the steps and learn the lessons. Stumbling blocks simply need to be danced around so I will pick up my feet as the problem fades away. Agree to disagree more often winning every argument is not something we need. Have you ever wondered what you can do in 5 minutes?? I have an obsession with time and numbers so I often pay attention to how much time it takes me to do things. I thought you might find it interesting as well. 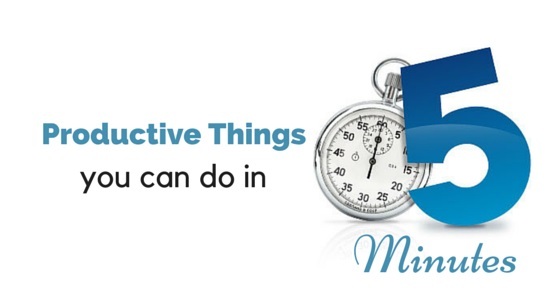 One of the excuses used a lot about getting organized is there is not enough time or have you ever heard "when I get time I will..."
If you are like me you may not have hours to do things you need to do but you may have 5 minutes or so. Always have a small project available to work on in your purse or in the car. Waiting time seems to be empty time but with a pen and paper you can plan supper or other plans you need to make. Keep a magazine that you want to look through or clip coupons while waiting in the car or at appointments. Talking on the phone to friends or family is something that I do often but while chatting on the phone I am also busy cleaning house or doing something else that can easily be done. 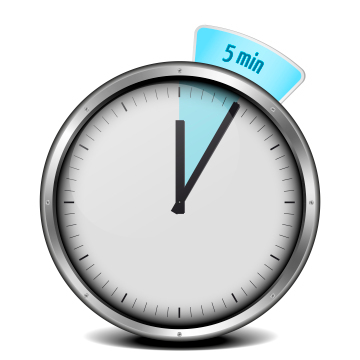 Use your 5 minute timer and see what you can get done. Perhaps this is the trick you have been looking for Not only a time filler but a way to help you get clean and organized as well. Decide how much each chore is worth. Choose an allowance with a corresponding point value. Set a time frame.Weekly? Monthly? The earn your allowance checklist will make chores fun and easy. The game tool helps parents and kids alike. 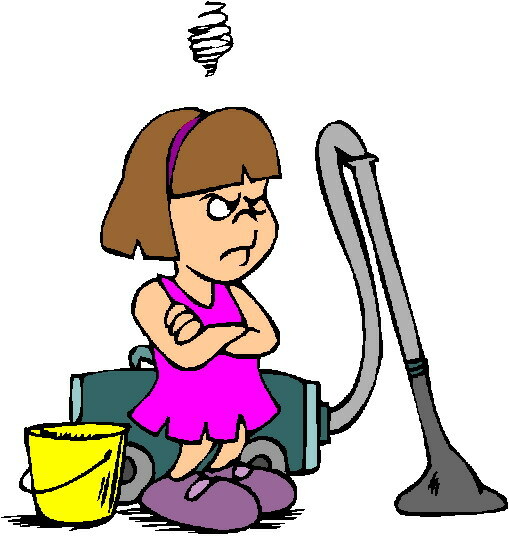 The reward system allows kids to earn points by doing chores or homework. Parents get help around the house with out a fight as well as no homework battles. After the points are earned kids are rewarded with allowance. The checklist will help keep things tidy and fun for all. PREHEAT grill to medium heat. Mix mustard, syrup and vinegar in small bowl; set aside. GRILL ham steak 3 min. on each side. Brush with 1/4 cup of the mustard mixture; cook 1 to 2 min. more on each side or until heated through. 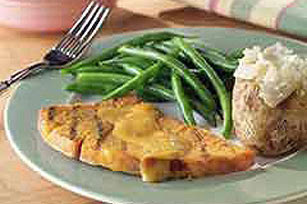 SERVE with the remaining mustard mixture. 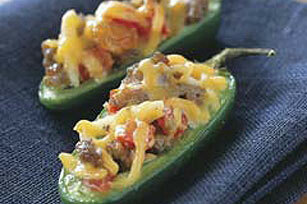 These spicy peppers are sure to please your heat loving guest. PREHEAT oven to 350°F. Heat dressing in medium saucepan on medium-high heat. 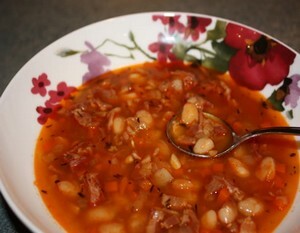 Add meat, tomatoes, almonds and raisins; cook 3 to 5 minutes or until heated through, stirring occasionally. Remove from heat; drain excess liquid. Stir in 1/4 cup of the cheese; set aside. CUT each pepper in half lengthwise; remove and discard seeds. Place peppers on foil-covered baking sheet. Fill each with about 1 Tbsp. of the meat mixture. BAKE 10 minutes; sprinkle with remaining 3/4 cup cheese. Bake an additional 3 to 5 minutes or until cheese is melted. Serve warm. Mix sour cream and cream cheese, put in pie plate, then add pizza sauce (I used a little more than 1/2 cup), and pepperoni. Bake in oven at 350 for 10 minutes. After 10 minutes add mozzarella and bake for an additional 5 minutes until melted. Serve with crackers (I like wheat thins), chunks of bread, etc. 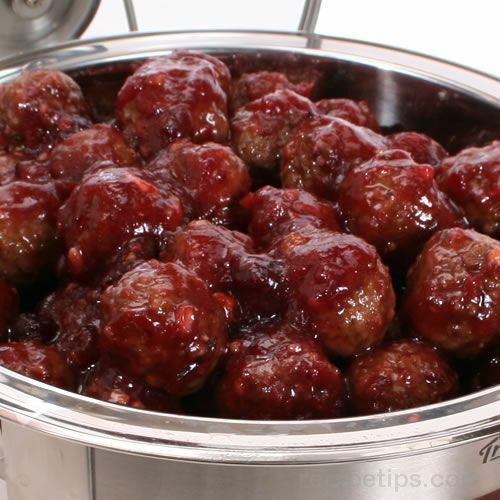 Combine all ingredients in saucepan (I use the crockpot), add meatballs, and heat thoroughly. Lightly grease 13x9 pan. Mix butter, sugar, and milk in heavy 2 1/2-3 qt sauce pan. Bring to a full rolling boil on medium heat, stirring constantly. Continue boiling 5 minutes on medium heat, stirring constantly to prevent scorching. Remove from heat. Gradually stir in chips until melted. Add remaining ingredients mixing well. Pour into prepared pan. Cool at room temperature and cut into squares. Yield 3 lbs. Preheat oven to 250°. Lay out pretzels on baking sheet. Top each with a piece of candy. Bake for 4 minutes. 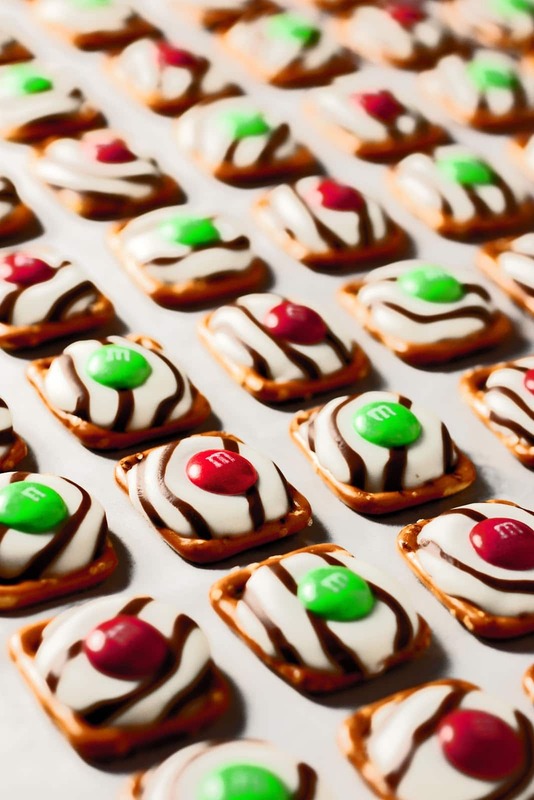 Remove from oven and top with one M&M (push it down a bit). Let cool. When I was a kid I often found things funny. One of those things was that my grand-mother often had soup and sandwich for supper. Now days I agree that soup and sandwich is a tasty and well approved meal. At my childhood home, my mother would make a meal of meat and potato and we would all enjoy. This was far different than meals that my grandmother would serve. For tonight though I share with you a tasty soup recipe that may have been on my grandmothers table. 1. Place the soup bones in the crock pot. Cut your onion into large chunks and put in with the meat. 2. Open the can of tomato sauce and the can of diced tomatoes and add both in the crock pot. Fill the empty can of diced tomatoes with water and pour it in. 3. Next, add your spices: Worcestershire, pepper, Season All, and Mrs. Dash. Turn your crock pot on low. 4. Since you have the cutting board out from cutting up the onions, go ahead and dice up your potatoes and carrots into bite-size pieces. You can store them in a bowl of water in the refrigerator until you need to add them to the soup. 5. Let the meat cook for about 5 hours before adding your veggies. It is better to wait to add the vegetables so they don't get overly mushy. Nobody likes soggy vegetables. Add the canned vegetables along with the liquid they come in. If you have any frozen, saved veggies, add those too. Drain your carrots and potatoes and throw them in too (don't actually throw them...unless you have better aim than I do). 6. Let the soup cook (crock?) for another 3-4 hours. 7. Right before you are ready to serve the soup, make the dumplings. In a large bowl, mix the flour, salt and egg. 8. Add the milk until the mixture holds together and is slightly sticky. If you add too much milk, just sprinkle in some flour until the consistency is right. 9. Remove enough liquid from the soup to fill a pot. This is where you will cook your dumplings. Put on the stove and heat. 10. Once the soup in the pot is boiling, start making your dumplings! Get a metal spoon and dip it in the hot soup first. This helps the dumplings from sticking to the spoon.Take small spoonfuls of dumplings and dunk them in the boiling soup. 11. Allow the dumplings to cook. The dumplings are done when they float to the top. 12. Pour the dumplings and soup juice back into the crock pot. As I sit back and reflect I recall an aunt of mine who lived in a small tiny little house. You see, her father had been hurt terribly when black Tuesday that started the great depression struck. They were rather wealthy and lost everything and her own father jumped from a tall building to his death. So she grew up rather humble and frugal and never really had a lot because she did not want a lot. Her home was rather simple and as I recall her kitchen it was as well. There were no modern appliances or fancy gadgets. She lived without electricity and enjoyed her simple life. I loved to visit with my parents as it always seemed homey. Her home was one I was never afraid to visit and I always had a great time. The cook stove was gas, her heat source was as well. Candles and kerosene lamps were used to light the home so it was pretty dim within those walls. In the living room sat an old frumpy comfortable couch and chair adorned with quilts that she had made. Her kitchen had a small table that hosted 4 wooden chairs. Her cupboards were open faced and hosted glass dishes of decades ago. The cook stove was rather large in size and always seemed to warm the entire home. A pump outside the kitchen door stood ready when water was needed for cooking or bathing. Often when we visited the aroma coming from the kitchen was delightful. Next to the kitchen door stood a table of her treasures. They were simple nick knacks but meant the world to her. To a small girl they were treasures as well. The memories of her and this house will always hopefully be present in my mind. I recall sitting many times with her on that frumpy old couch having a talk as she used to call it. Early America was hard living and it was no different for the Continental Army. The battles for the newly formed country of the U.S.A were hard but very much needed. It was the Revolutionary War that would win freedom for all those that wanted it. The winter of 1777-1778 was brutal for the soldiers of Valley Forge. It was on December 29th 1777 George Washington requested that the army's chef prepare a meal that would boost the morale of the soldiers and warm them as well. So the chef rounded up some peppercorn, small bits of meat, tripe and other ingredients and called it a pepper pot soup. This soup is also known as the Philadelphia Pepper Pot Soup The meal was loved by all and has been thought of as "the soup that won the war"
Heat remaining 1 Tbsp olive oil in pot then add onions, red bell pepper, green bell pepper and saute 3 minutes, then add garlic and saute 30 seconds longer. Pour in diced tomatoes, tomato sauce, beef broth and add parsley, basil, oregano and cooked beef, then season with salt and pepper to taste. Bring just to a light boil, then reduce heat to low, cover and simmer, stirring occasionally, 30 minutes. 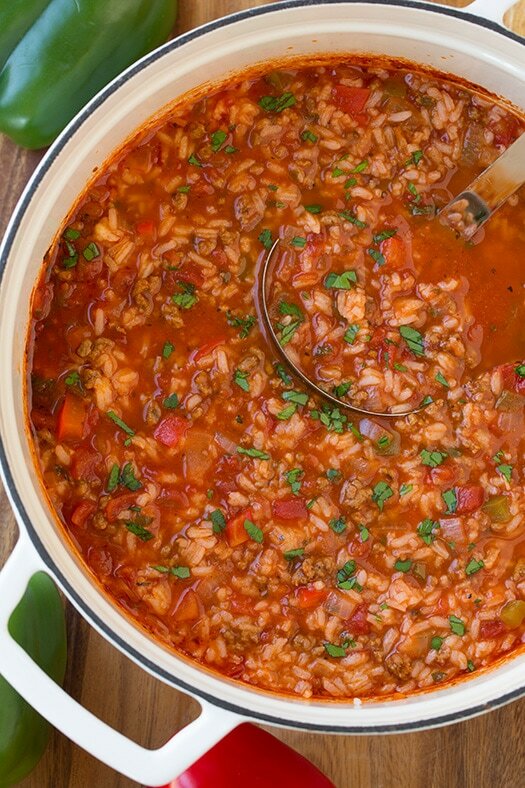 *For a thinner soup don't add all of the rice and for a thicker heartier soup add it all. Also, if you plan on having it for leftovers the next day then don't add the rice to the pot of soup, just add it to each individual bowl, then reserve the rice in a separate container in refrigerator to add to the soup the next day (otherwise it would turn into mush). Those 363 days have traveled quite speedily and there are many things that we did do and more that we did not get done. With only 2 more days to go we can either scramble to finish what we wanted in 2016 or get ready to do more in 2017. 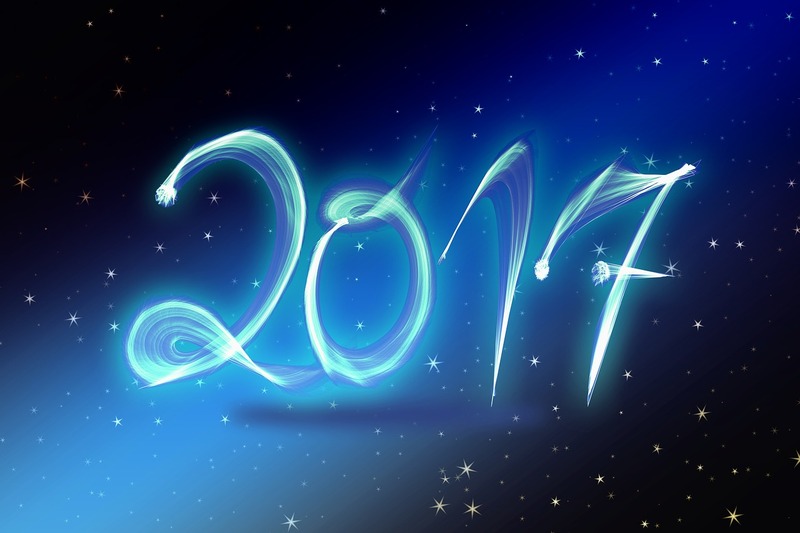 Perhaps it is not the goal to make new goals for 2017 but to create plans for a new year that you can reach for. 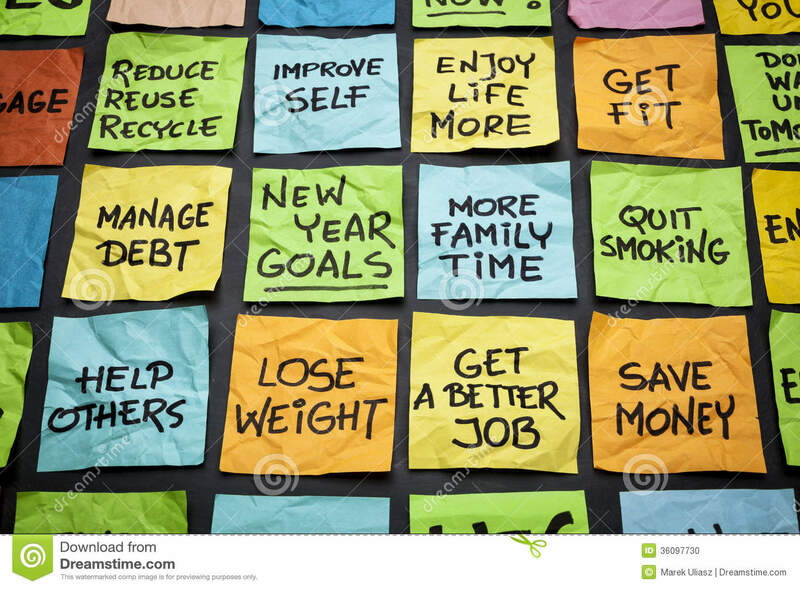 Is it this year that you want to stop smoking, save money, make more money, retire or lose weight?? Many of us simply want to have a year that is as good as 2016 and many of us would also love a better year. For even good things can be made better. Start now by making a list of goals. Put it on paper where it is black and white or perhaps write them on your blog, your journal on a piece of paper that you hang on your bathroom mirror or fridge where you see it daily. Placing your dreams your plans somewhere where you see it everyday will help you strive to reach them. Make the goal a concrete plan the amount you want to save or the number of pounds you want to lose. Blogs are the best place to do a bit of research. The authors of these blogs may have had the same goal as you. How did they go about it, what were the plans they made, what were the downfalls. Research a bit of what to do and success at doing it may just make your fight a bit easier. Do not put off what you can start today. Start with a fresh start and keep your nose to the grind stone. Make your goal possible. Keep faith in your goal and picture in your mind what it is that where you want to reach. Share your goal and plans with others Are there any out reach groups you can join where others are striving to reach the same goal?? With the advances of social media finding others with the same goal is easier than ever. My kid brother always adored monster cookies and I said I have made them for him many times before. When I found this pillsbury recipe for Monster snack bites I thought what a great treat and perfect size for a bit of a bite I hope you enjoy. Line 13 x 9-inch pan with foil. Spray foil with cooking spray. In large bowl, mix cereal, pretzels and peanuts; set aside. In 3-quart saucepan, heat marshmallows and butter over medium heat, stirring frequently, until marshmallows are melted and mixture is smooth. Stir in peanut butter until well blended. Remove from heat. If you are like me and like a cup of warm when its cold outside you should head over and enter this great giveaway. The blog is hosting a giveaway where a $200 starbucks gift card will be awarded to a lucky person. 1. In a large mixing bowl, cream peanut butter, butter, sugar and brown sugar. 3. In a separate bowl, combine the flour and baking soda; gradually add to the creamed mixture. 4. Refrigerate for 1 hour or until easy to handle. 5. Roll the dough into 1" balls. Place 2" apart on ungreased baking sheets. 6. Pinch each ball at one end to taper. Insert two peanut halves in center of each ball for ears. 7. 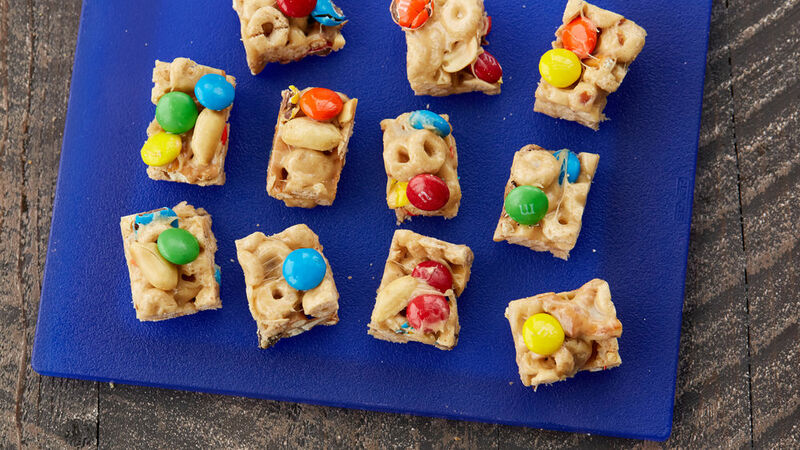 Add one M&M baking bit for the nose and two chocolate chips for eyes. 8. Bake at 350 degrees for 10-12 minutes or until set. 9. Remove to wire racks to cool completely. 10. 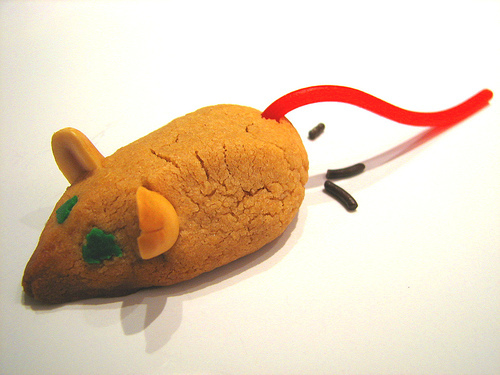 Gently insert one licorice piece into each warm cookie for a tail. 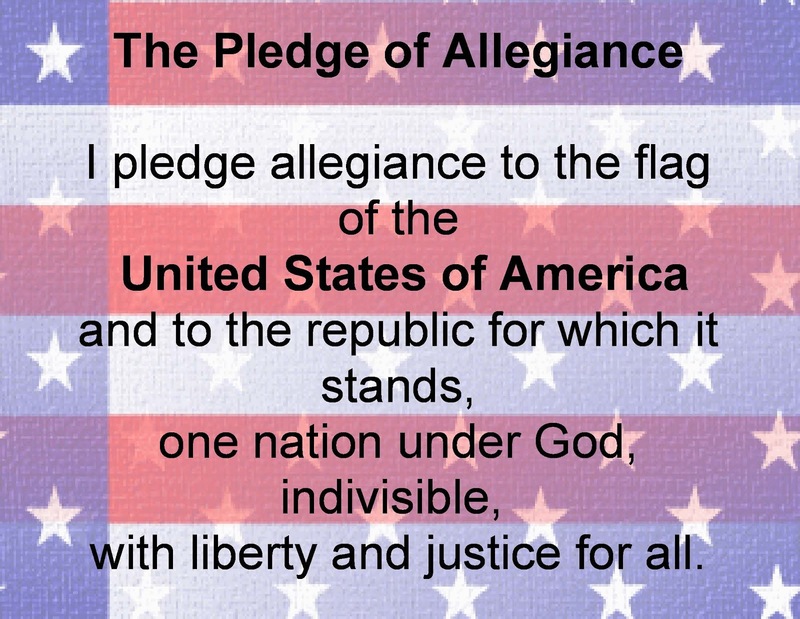 The Pledge of Allegiance of the United States is recited when saluting the Flag of the U.S. It was composed by Colonel George Balch in 1887 It was revised by Francis Bellamy in 1892 before being adopted by Congress as the pledge in 1942. 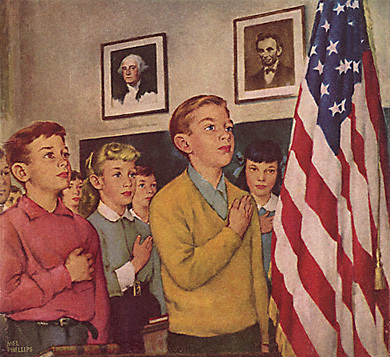 The pledge was changed to include "Under God" in 1954. Balch wanted to teach our children, all of our children, to be loyal to the U.S. He wanted every school and classroom to have a flag to say the pledge to. Balch's pledge was stated by the Daughters of the American Revolution until the 1910's. The variety of card games is vast and within each card game the rules of the game may vary as well. There are also card games that are spin offs of other card games. Some board games may even be considered card games when they use cards to promote the game and play a main role in the game. A few things about cards no matter the game are always the same. To start with cards are always identical in size and shape with 2 sides. Each card has a face and a back. The face has the number or picture and these may vary with every deck of cards. Card games were introduced during the Tang Dynasty China. 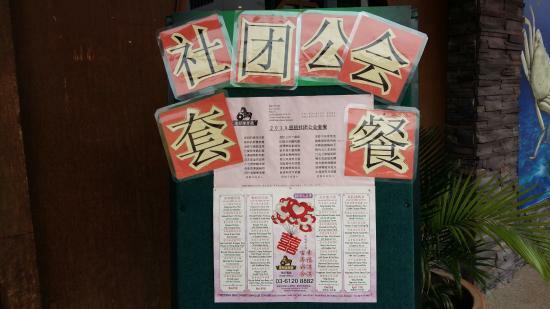 The leaf game was created in the 19th century and was common to the Mahjong game. Mahjong was played with three suited money playing card decks. Another early game played with tiles but originally played with cards is Rummikub. Card games reached Europeans in the 14th century. The deck of 52 cards came about during this time. The suits of cards were swords, polo sticks, cups and coins. Cards ranked from king, governor, second governor and then ten to one. Today cards appear in 4 suits hearts, diamonds, clubs and spades. The rank of cards changed as well with king, queen, jack and ten to one with the one being an Ace. Cards also were used in other entertaining ways. Italy was the birth place of Italy. The deck included 14 cards in each suit. A deck of Tarot cards have cards 1 - 10 then follows with valet (jack), chevalier (knight) dame (queen) and Roi (king) The deck also includes a fool or excuse card. In early days tarot cards were used for playing games. Now tarot cards are used more by the occult and for fortune telling. 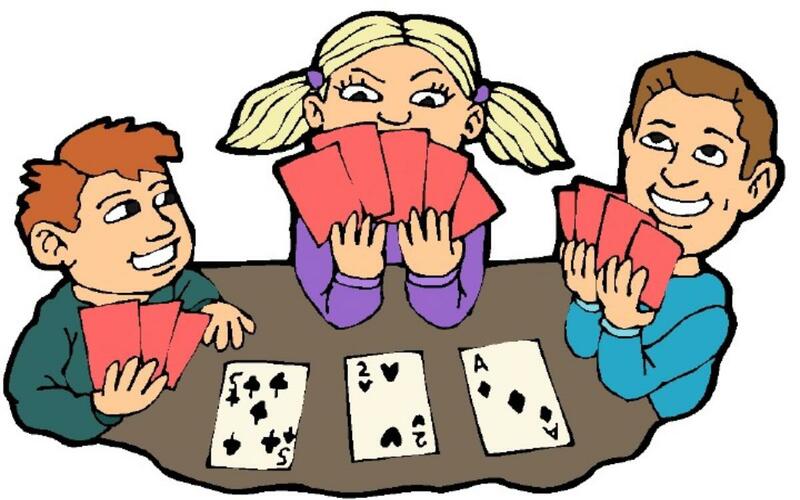 Our family often plays card games new years eve if your family does then you will be able to share some trivia as well. 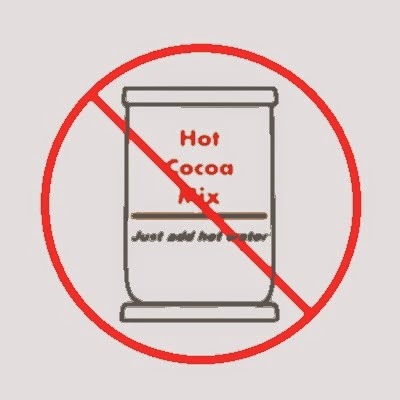 Open kitchen cabinet and throw away ALL packets of hot cocoa mix! Compost them, shred them—just get rid of them! In a saucepan, combine almond milk, half-and-half, malted milk powder, sugar, and vanilla. Bring to a simmer over medium-high heat. Turn heat down to low. Slowly add the cocoa powder by straining it through a sifter (I use silicon spoon to press the powder through). This not only prevents clumping, but it also gives my favorite hot beverage a richer flavor. Stir until completely dissolved. Remove the mixture from the heat and add the chocolate chips. Stir until completely melted. Pour into mugs, filling each cup halfway (leave room for whipped topping!). Add marshmallows or fresh whipped cream. Don't forget a pinch of cinnamon! A fairly common bird here in southern Illinois is the blue bird. Beauty is in the eye and this bird sports some beauty in its wings. Pan-fry or broil sausage according to package directions. Cut sausage in half lengthwise; cut into 1/4-in. slices. In a large skillet, combine the sausage, spaghetti sauce and water. In a bowl, combine the ricotta cheese, egg, parsley and oregano. Spread one third of the sauce mixture over the bottom of a greased 13-in. x 9-in. baking dish. Layer with half of the noodles and half the ricotta cheese mixture. Sprinkle with half the mozzarella cheese. Top with a third of the sauce. Layer with the remaining noodles, ricotta cheese mixture and mozzarella cheese. Sprinkle with Parmesan cheese and black olives if desired. Cover and refrigerate for at least 8 hours or overnight. Remove lasagna from the fridge 30 minutes before baking. Bake, uncovered, at 350˚ for about 1 hour or until noodles are tender and sauce is bubbly. InspiredBN Promos ! Link Ups ! and More !